Under Construction - Spacious Dream Home in Windermere! Brand new, never lived in! 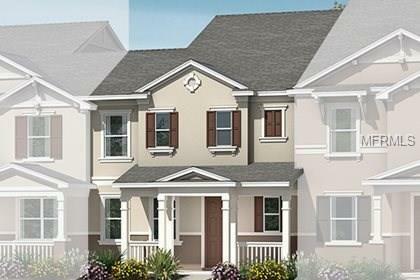 Townhome features 3 bedroom, 2.5 bathrooms, two car garage. Home features Granite Countertops in Kitchen and Bathrooms, all tile on first floor, 9'4" ceilings on first floor & much more. Lawn maintenances included in the HOA. Vineyard Square features swimming pool, cabana, tot lot and passive park! Vineyard Square is conveniently located to all of highly desired Central Florida Attractions, shopping, restaurants, major highways and downtown Windermere. Minutes from the world class Winter Garden Village that offers outdoor events & festivals. Enjoy walking and biking trails at the Tibet-Butler. Nearby employers include Walt Disney World, Orange County National Golf Center & Lodge and Universal Orlando Resort. Under Construction, call TODAY to schedule your appointment!